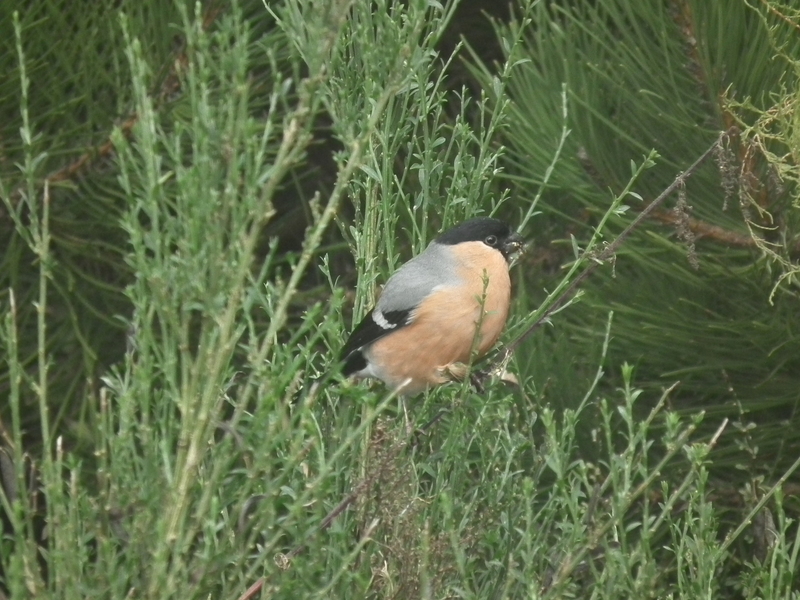 Some welcome sunshine today and looking out of the window I noticed a male Bullfinch in the garden. We don’t have many visit us, although last year a pair did nest in a Yew bush, He was searching the buds on the shrubs, I expect for insects emerging to make the most of the sunshine. In years gone by when both commercial fruit orchards and Bullfinches were more common then they are these days, these beautiful little birds were very unpopular for their habit of pulling the blossom buds off apple trees consequently reducing the amount of flowers that could be pollinated and the fruit harvest. 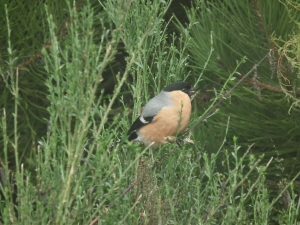 This male is sitting on a broom bush which forms part of a shrub belt I planted above the brook that runs through our garden. The planting includes Snowberry,Honeysuckle, Lilac, Daphne and Juniper and a variety of dwarf conifers under planted with Ivy and miniature holly which are providing a popular feeding and nest site for a variety of bird species. I get an enormous amount of pleasure seeing our wildlife making use of habitat we are creating for them and plan to erect some extra nest boxes this week . I will post how we get on and what boxes we positioned and where.